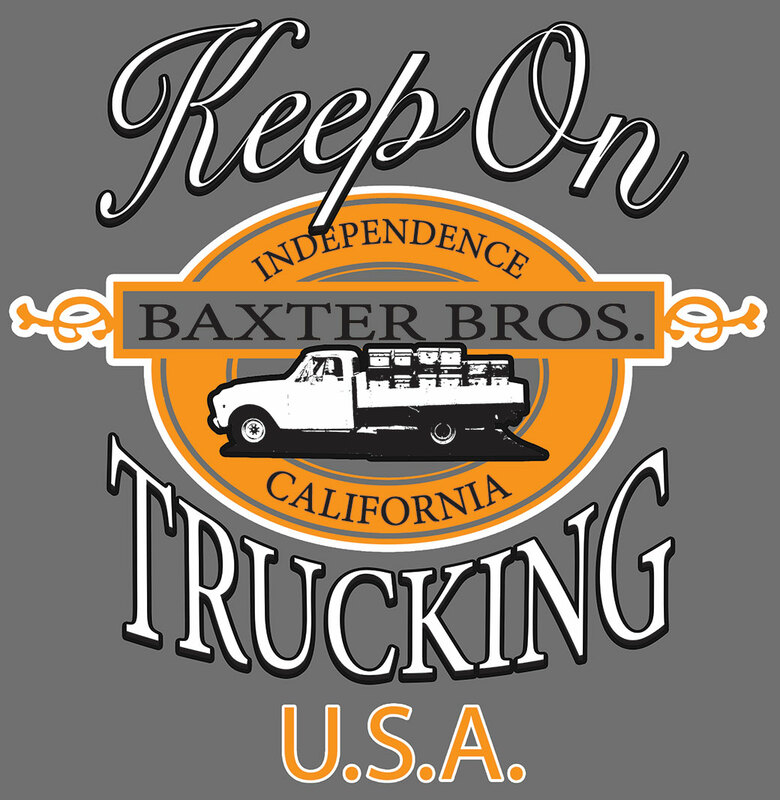 The theme of this year’s Fourth of July Celebration, “Keep on Trucking”, ties in with our Fourth of July Grand Marshals, John and Philip Baxter. The Baxter Family has been a part of the history of Independence and the Owens Valley since the late 1800’s. The Baxter name is even on one of the Sierra’s rugged mountain passes – Baxter Pass. John Baxter’s iconic 1968 Chevy Flatbed truck is pictured on this year’s one-of-a-kind t-shirts. Many of us have enjoyed Baxter Honey throughout the years, and if you look closely at the t-shirts, you will see the bee hives stacked in the back of the truck. July 3rd Music & Dance – Dehy Park 8:00 PM until Midnight. July 4th opens with Flag Raising Ceremony at 6:15 AM. Pancake Breakfast 6:30 – 9 AM at Dehy Park. Historic Independence Walking Tour, Meet at Dehy Park at 8:30 AM, Tour leader – David Woodruff. 4K/4 Mile Run/Walk registration at 6:30 AM and starts at 7:30 AM. Have Breakfast at the Park! Arts and Crafts Show is at 8 AM on the Courthouse Lawn. Parade begins at 10 AM and goes both North and South on Highway 395. Pie Social is at Noon at Dehy Park, followed by Spelling Bee at 12:30 P.M. and Old Time Kid’s Games at 2 PM. Deep Pit Barbeque is from 4 – 6:30 PM at Dehy Park. Grand Finale Fireworks Display begins at dusk at the Independence Airport. OV School pool open for free swimming from 1 – 6 pm July 4th and July 5th. For more information, including parade entry forms, race entry forms and the Arts and Crafts show vendor application forms, please contact 760-878-2046 or email indycivicclub@gmail.com.